View from inside Rocinha (Wikipedia - Rocinha. 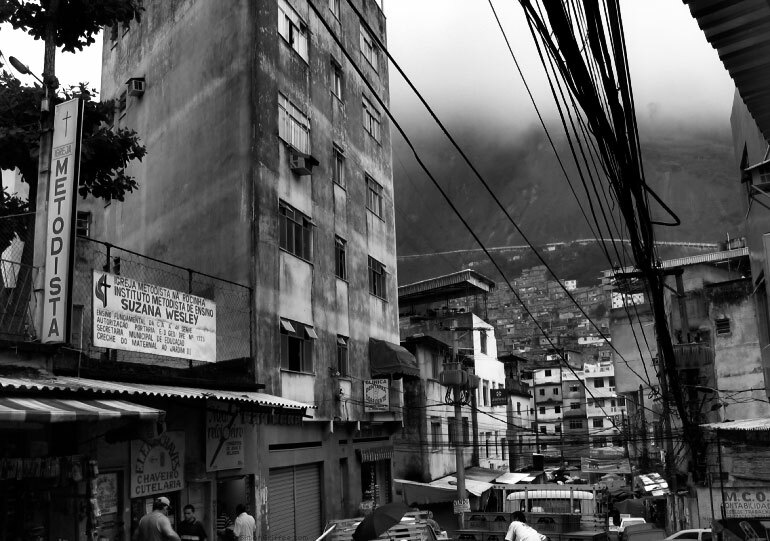 ), the largest favela (Shanty town.) in South America. It is not difficult or dangerous to visit Rocinha (Google search: tourists visit rocinha. ).